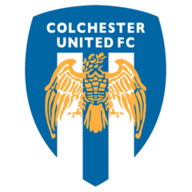 Highlights from Sky Bet League One as Colchester United host Peterborough United. Colchester look destined for League Two after they were thrashed 4-1 at home by Peterborough. Jon Taylor fired Peterborough into a second-minute lead after Aaron Williams flicked on Michael Bostwick's header. Taylor squandered a great chance to double Peterborough's lead and Colchester had the chance to draw level but George Moncur's penalty was saved by Posh goalkeeper Ben Alnwick, after Ricardo Santos had fouled Elliot Lee in the area. Colchester keeper Elliot Parish denied both Chris Forrester and Erhun Oztumer while Lee's shot rattled a post for Colchester five minutes after the break. 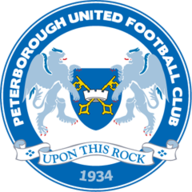 Peterborough got their second in the 67th minute through substitute Andrew Fox, who side-footed home from Shaquile Coulthirst's assist with his first touch after coming off the bench. Coulthirst added a third two minutes later, stabbing home after Taylor had raced down the left and crossed. Moncur reduced the deficit when he fired in from 14 yards after a corner had not been properly cleared but with Colchester pushing forward, Marcus Maddison raced through to score Peterborough's fourth and complete their victory.